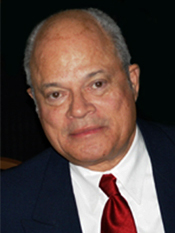 Home / Lewis Rambo, Ph.D.
Lew Rambo, Ph.D., is a senior advisor with Saad&Shaw specializing in strategic planning and organizational change. Dr. Rambo has been engaged as a consultant for multinational corporations, governmental agencies, educational institutions, professional corporations, family-owned businesses, and nonprofit organizations in the United States, Europe, Asia, and Latin America. Saad&Shaw draws upon this diverse experience when addressing the organization development, managerial performance, board effectiveness, and team building challenges facing our clients. Dr. Rambo’s insights help us assist our clients to change, reposition or grow in ways they may not have believed possible. In addition to working with Saad&Shaw, he is also a professor of organizational behavior and human resources management at the Hult International Business School, Cambridge, MA, and an adjunct professor at the Bentley College Graduate School of Business in Waltham, MA. For more than 20 years Dr. Rambo was Senior Vice President and Director of Human Resources at Arthur D. Little, an internationally recognized management, research, and technical consulting firm with nearly 3,000 consultants in 30 offices located in 18 countries. Previously, he held senior human resources management positions at the Ford Motor Company’s World Headquarters and at General Electric’s Aircraft Engine Division. Throughout his career he has been heavily involved with education and educational institutions at all levels. He has taught and lectured students, worked with faculty and senior administrators, and conducted executive seminars at colleges and universities around the globe. Dr. Rambo received his M.A. and Ph.D. at Wayne State University in organizational-industrial psychology, studied industrial relations at the University of Illinois, and completed postdoctoral studies at the Harvard University Graduate School of Education. He is a licensed psychologist and the author and co-author of numerous articles and publications.